New York 'Chelsea Bomber' Given Life Sentence - Integration Through Media ....! 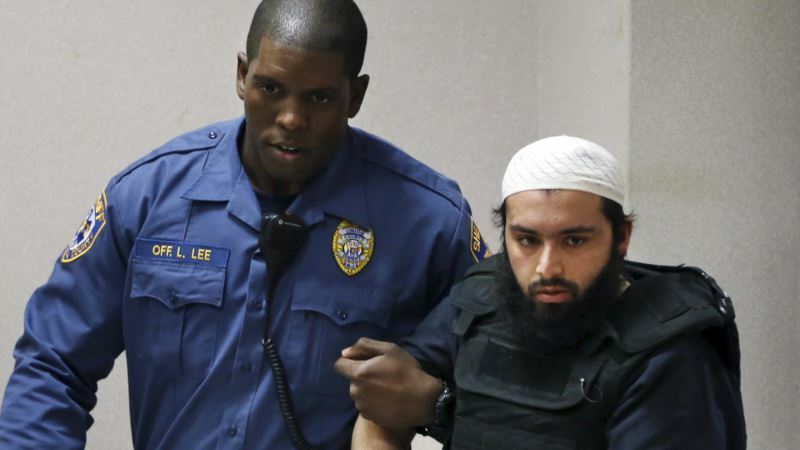 (VOA): A New Jersey man convicted of setting off and trying to set off bombs in New York in 2016, one of which injured more than 30 people, was sentenced Tuesday to life in prison, the U.S. Justice Department said in a statement. Ahmad Khan Rahimi, 30, of Elizabeth, New Jersey, was found guilty in October of using a weapon of mass destruction, bombing a public place and other charges. "Today's sentencing assures us that Ahmad Khan Rahimi will spend the rest of his life behind bars," William F. Sweeney Jr., assistant director in charge of the FBI’s New York Field Office, said in the statement. "Once again, the lesson learned is clear: If you plot to cause catastrophic damage against this city and our citizens, you will be held accountable." One of Rahimi's bombs exploded in the New York neighborhood of Chelsea on September 17, 2016, leaving more than 30 people injured and causing hundreds of thousands of dollars' worth of property damage. A second bomb in the same area did not detonate. Earlier in the day, a pipe bomb Rahimi had planted near a Marine Corps charity footrace in Seaside Park, New Jersey, exploded but caused no injuries. On September 18, six other improvised explosive devices that Rahimi had planted were found in a backpack at the entrance to a transit station in Elizabeth, New Jersey. One went off while a bomb squad was using a robot to try to defuse it. Rahimi was arrested the following day in Linden, New Jersey, after an exchange of gunfire with police, the Department of Justice statement said.